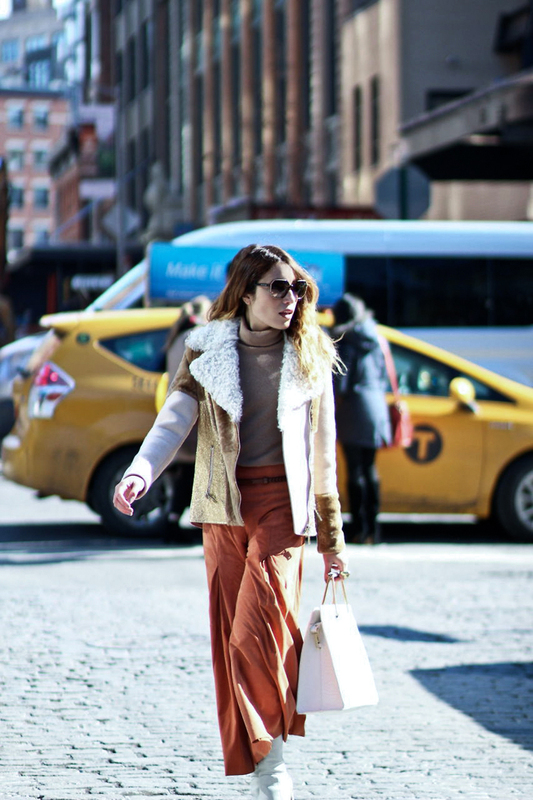 This season's all about wearable suede separates in fun colors and classic shapes. Scroll down to shop a few of my favorites! DROMe patchwork shearling jacket and suede culottes (sample), Equipment turtleneck sweater, ASOS tote, Balenciaga sunglasses, Schutz boots. Shot by Erica Lavelanet. In matters of my closet, perhaps no two items are as treasured as my leather & suede separates. They're the perfect investment pieces and always seem to stand the test of time when it comes to both everyday wear-and-tear & the industry's ever-changing trends. At the moment, I'm obsessed with suede in particular because it always seems to give your look just the right amount of retro, 70's style. Which (if you take one look at my patchwork jacket, oversized shades, and white 'go-go'-esque boots above) I'm apparently very into at the moment. So sue me. Loving this fabric, but not sure where to start? I've rounded up a few of my favorite, standout pieces this Spring (all under $250!) that are sure to persuede you. Enjoy! 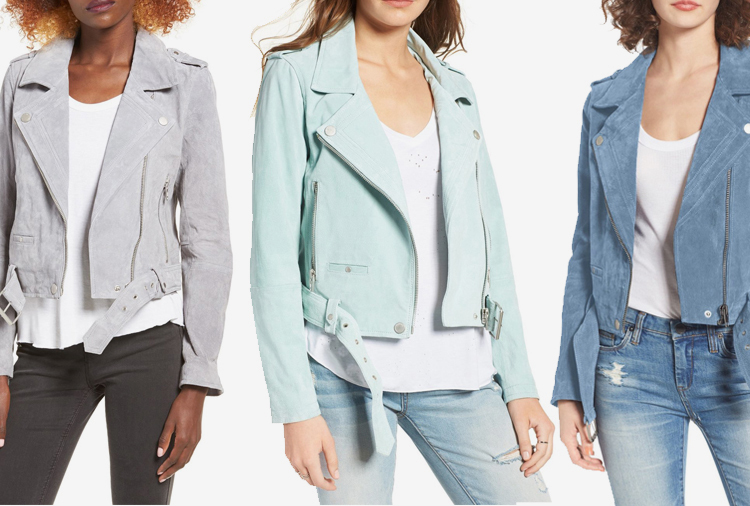 This perfect suede moto comes in 8 standout colors and is a steal at under $200. 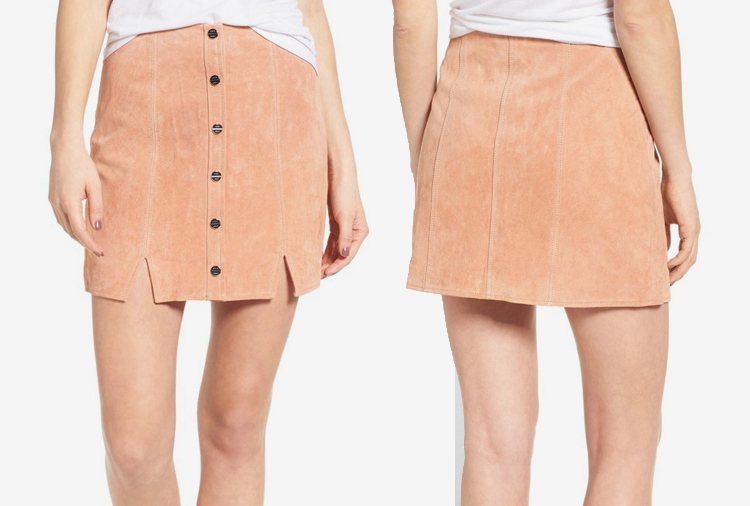 Life's a peach in this button-up suede miniskirt. 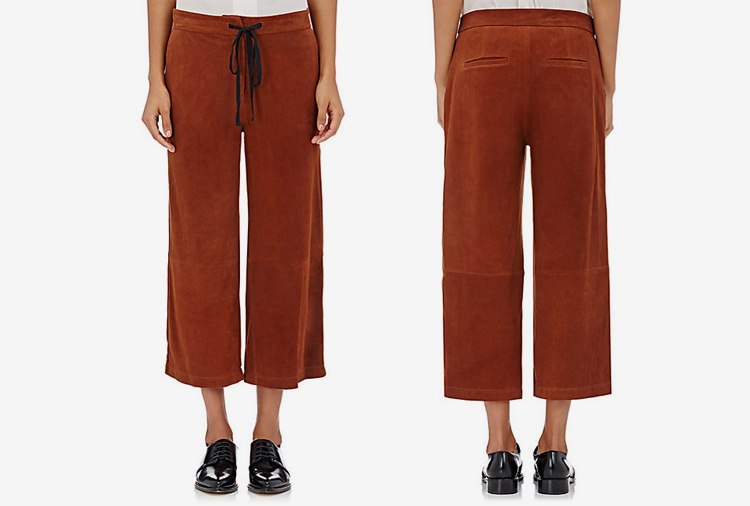 Rust-colored suede crops (like the ones I'm wearing above) make a statement in any season. Channel your inner go-go girl in this retro, faux-suede dress. 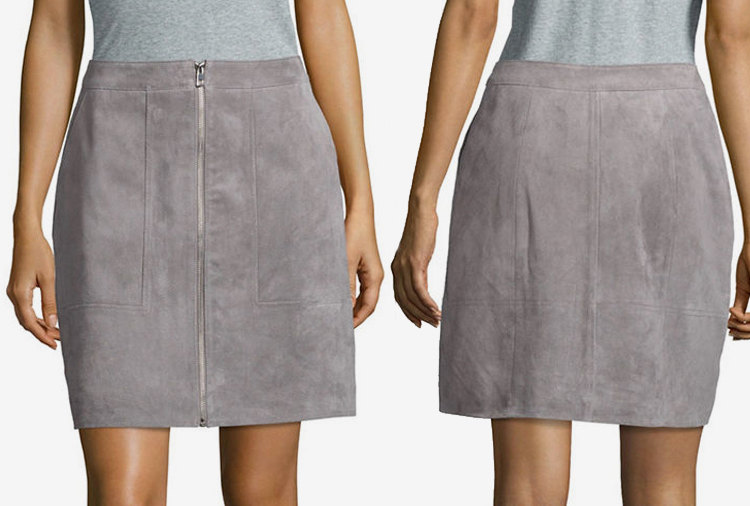 The perfect A-line, zip-up suede skirt to go with everything in your closet. 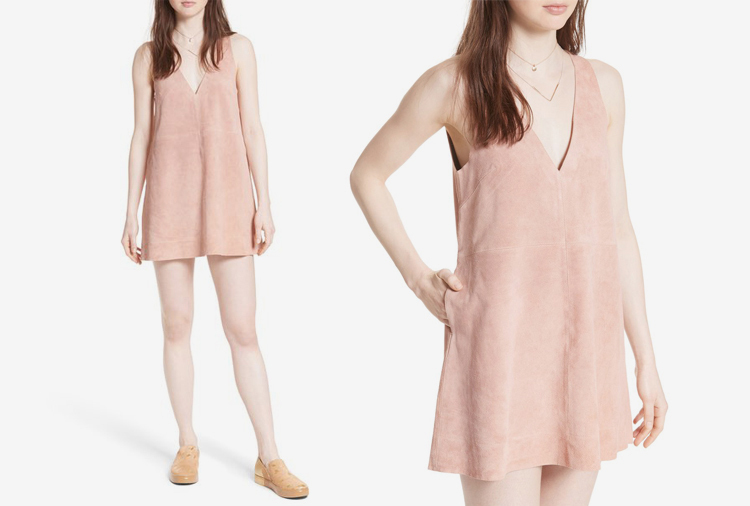 Make em blush in this springy suede shift dress. 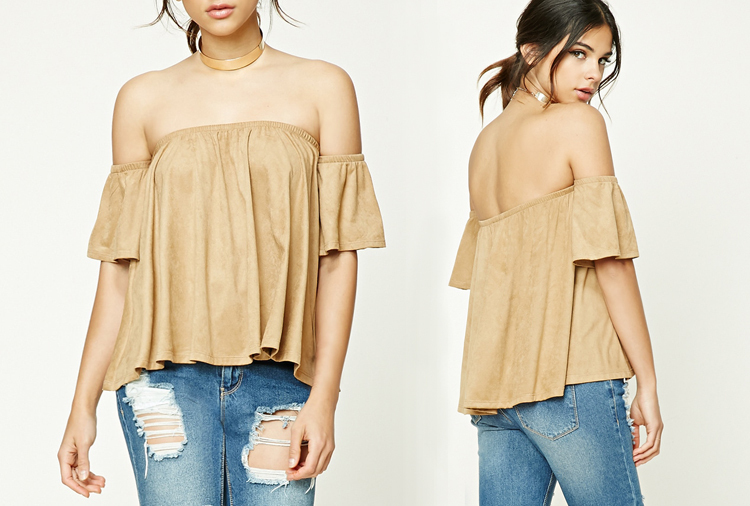 A faux-suede off-shoulder top is super on-trend and won't break the bank. I really loved that outfit!